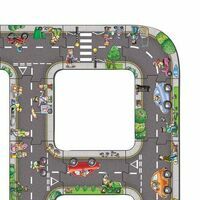 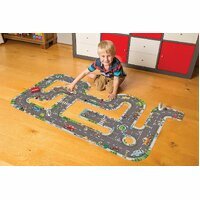 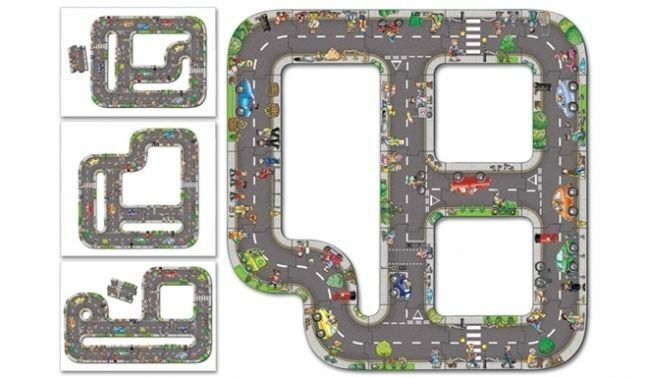 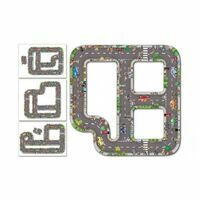 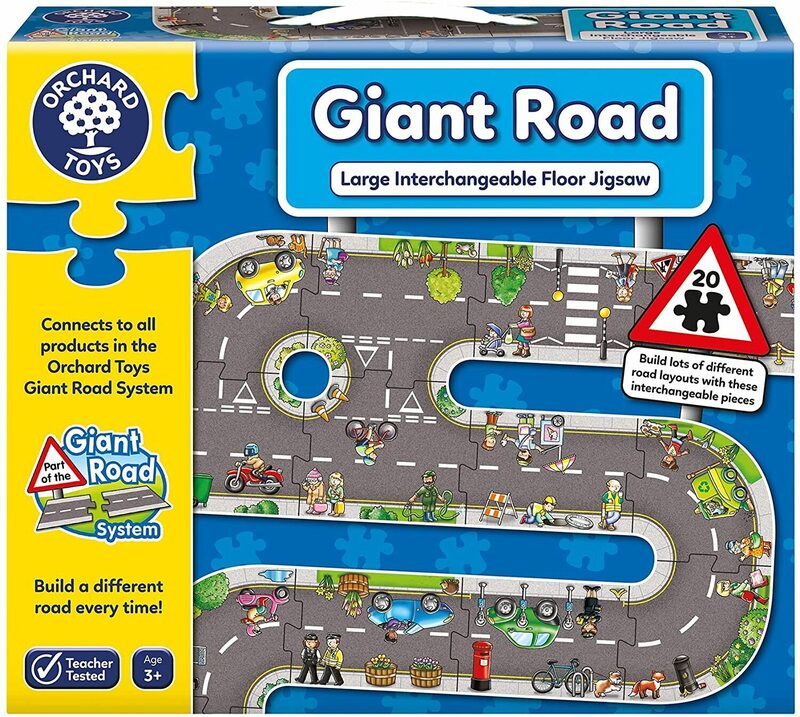 Design lots of different road layouts using the 20 chunky interchangeable puzzle pieces. 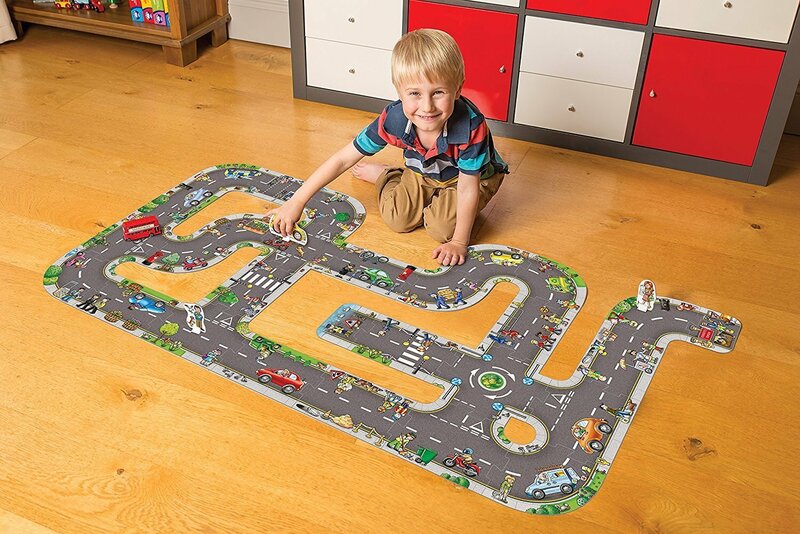 Add to the fun with your own favourite toy cars. 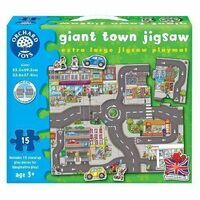 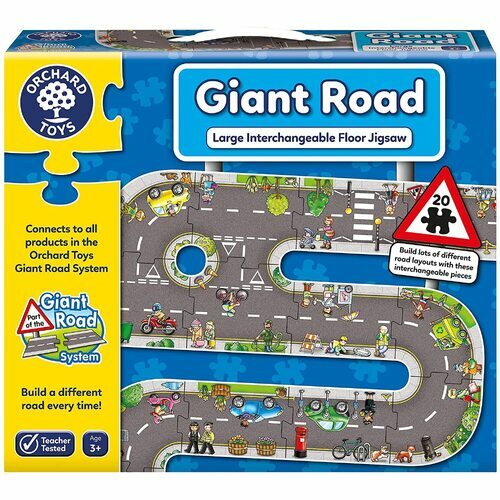 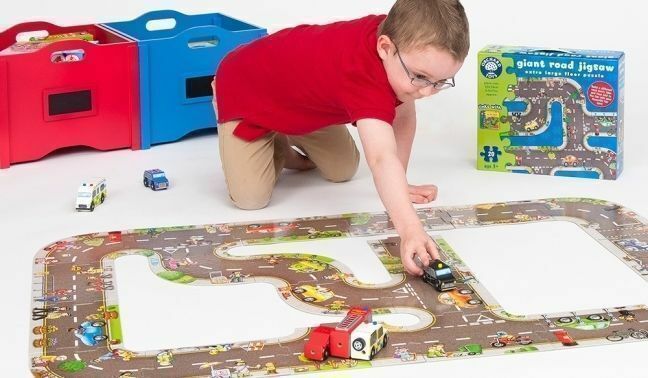 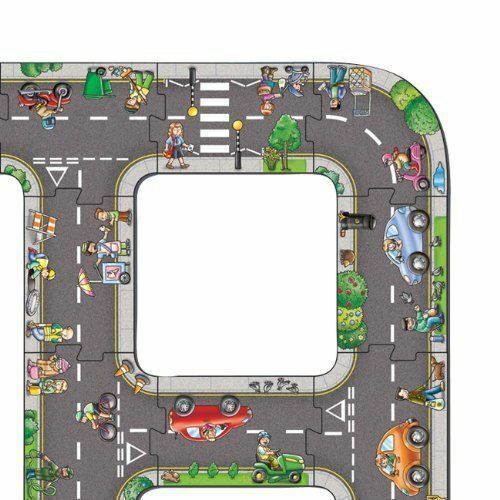 For extra imaginative play why not link to the Orchard Toys Giant Railway playmat jigsaw and Giant Town Jigsaw, using the included link pieces.